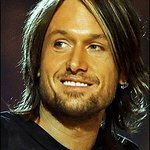 Keith Urban is a Grammy Award-winning country music artist who was born in New Zealand and is married to Nicole Kidman. He performed at Live Earth in New York with Alicia Keys. Google trends for "Keith Urban"